We’ve been told that the decisions we make today will affect us tomorrow…but how many purchasing decisions will affect us in 15, 30 or 60 years? The investment made in a metal roof will last at least that long, which is why it’s important to understand the balance between quality and cost beforehand. 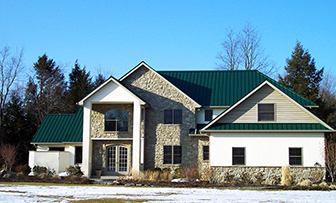 The initial cost of a metal roof exceeds other materials, such as asphalt, slate, or tile. Industry statistics estimate that the average cost per square foot is around $3.00, compared to asphalt at $1.50. However, metal offers improved strength and durability, and lower maintenance and energy costs over time. 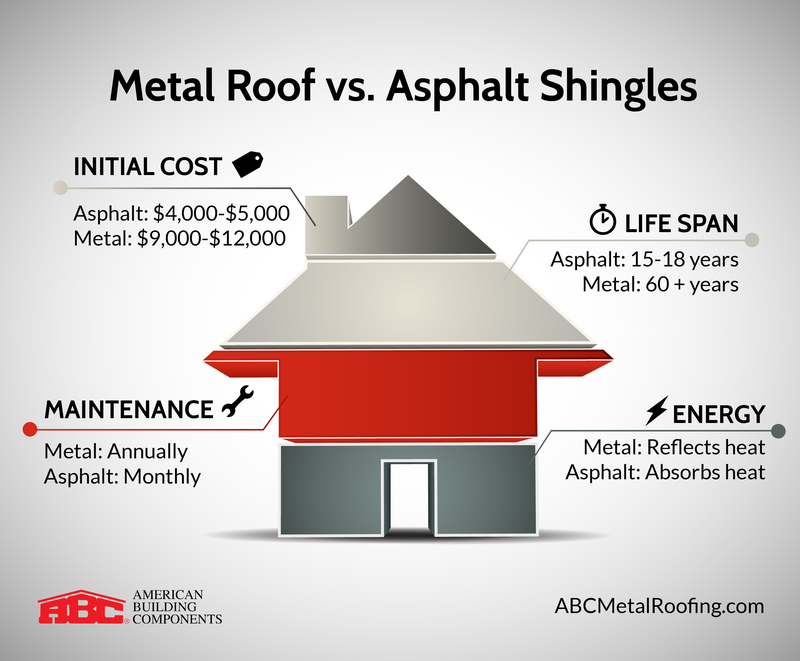 In fact, over a metal roof’s lifespan, shingles can cost just as much, if not more. We examine the SL-16® metal roof panel, as an example, to demonstrate how metal is a better overall investment. This snap-together roof system offers the look of traditional standing seams, with easy installation and low maintenance. SL-16® panels are formed from high tensile strength, using 29 and 26 gauge steel. The panels are Class A UL Fire Rated, and UL 2218 Class 4 rated for impact resistance, ensuring durability. The metal is protected with a Galvalume coating and paint, and most ABC colors are ENERGY STAR® compliant. SL-16® is a concealed fastener panel, which means the likelihood of leakage is reduced compared to exposed fastener panels. No clips are needed to install; instead, the SL-16® uses pancake head fasteners which are hidden under the lap of the panel. Over time, exposure to harsh weather conditions such as rain, heat and snow, cause erosion and fading to asphalt shingles. This often leads to mildew where there is a shortage of sunlight, and shingles must be replaced every 15 to 18 years, even with monthly inspection. Metal panels, on the other hand, outperform asphalt against changing climates and requires minimal maintenance during the 60-year life cycle. Unlike asphalt shingles, metal panels act as an insulator which keeps your home at a stable temperature all season long. The Solar Reflectivity (SR)—the ability of a material to reflect solar energy from its surface back to the atmosphere—for metal far exceeds shingles. The SR of ABC’s Signature® 200 Coal Black is .30, and according to the US Department of Energy, the SR of shingles in Black or Generic Black is .05. This reflection of heat keeps internal temperatures more stable, saving the average homeowner up to 40% in energy costs. In summary, the lifetime value of a roof is comprised of more than the initial cost. Other variables must be considered such as maintenance, energy costs and overall lifespan. When considering a metal roof versus asphault shingles, metal is a more expensive material, but spread over 60 years, it provides more value per year. For more information and to view SL-16® product installation videos, visit ABCMetalRoofing.com.